As the GOP candidates debate, I’ll be twittering my comments and reactions on www.DickMorris.com. They talk. I’ll tweet. Follow the debate along with me. Sit right next to me as I kibitz about what each candidate has to say. I’ll comment on their strategy, content, and delivery. I will write out what they should be saying and explain why. 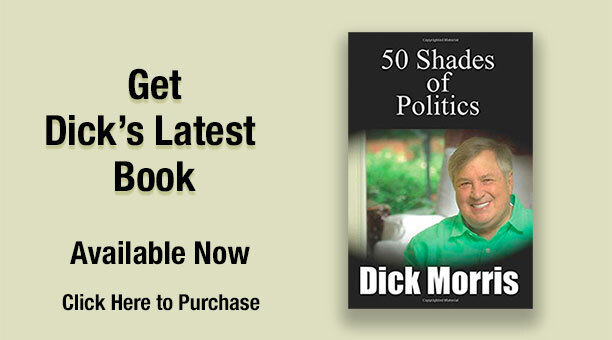 Follow the play-by-play with me, for free, on my web site: www.DickMorris.com. This is the first real debate among the Republicans. Neither Romney nor Bachmann nor Gingrich were in the last debate. But they will all be in this one! The debate airs on CNN from 8 to 10 PM this coming Monday, June 13. Come watch it with me!